On the 3rd (Fri), learn about wildlife with up-close encounters at Melbourne Zoo, take in panoramic vistas at Eureka Skydeck 88, and then admire the natural beauty at Royal Botanic Gardens. Get ready for a full day of sightseeing on the 4th (Sat): learn about all things military at Shrine of Remembrance, then browse the collection at State Library of Victoria, then examine the collection at Melbourne Museum, and finally make a trip to Flinders Street Station. Before you visit Melbourne, use our trip planner to discover what you can do and see there. Singapore, Singapore to Melbourne is an approximately 10.5-hour flight. You can also do a combination of flight and shuttle. The time zone difference when traveling from Singapore to Melbourne is 2 hours. Traveling from Singapore in April, expect Melbourne to be much colder, temps between 23°C and 11°C. Wrap up your sightseeing on the 4th (Sat) to allow time to travel to Sydney. 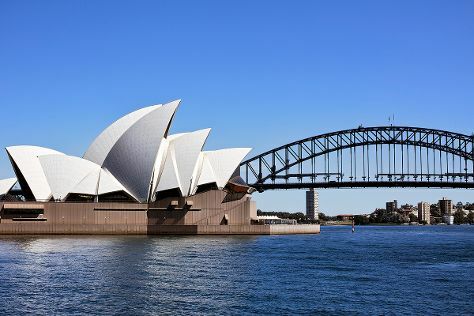 Start off your visit on the 5th (Sun): take a stroll through The Rocks, take in the views from Sydney Harbour Bridge, then catch a live performance at Sydney Opera House, and finally admire the natural beauty at Royal Botanic Garden Sydney. On the next day, stroll through Bondi Beach, get up close and personal with brilliant marine life at Sea Life Sydney Aquarium, and then wander the streets of Darling Harbour. To find photos, other places to visit, ratings, and more tourist information, read Sydney trip planner . Getting from Melbourne to Sydney by flight takes about 3.5 hours. Other options: do a combination of shuttle and flight; or drive. Plan for a bit warmer nights when traveling from Melbourne in April since evenings lows in Sydney dip to 17°C. Wrap up your sightseeing on the 6th (Mon) early enough to travel to Gold Coast. Start off your visit on the 7th (Tue): laugh and play at Sea World Theme Park. 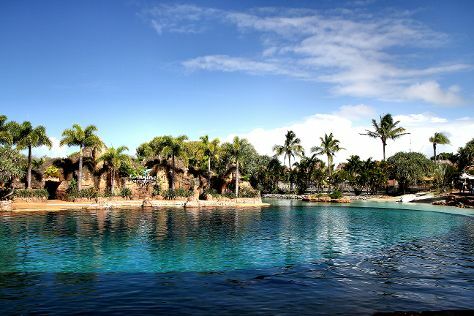 To find maps, more things to do, other places to visit, and other tourist information, read our Gold Coast vacation planner . Getting from Sydney to Gold Coast by flight takes about 3.5 hours. Other options: do a combination of flight and train; or drive. April in Gold Coast sees daily highs of 30°C and lows of 19°C at night. Cap off your sightseeing on the 7th (Tue) early enough to travel to Port Douglas. Start off your visit on the 8th (Wed): discover the deep blue sea with a scuba or snorkeling tour. To find reviews, other places to visit, where to stay, and other tourist information, refer to the Port Douglas trip maker tool . Do a combination of flight and shuttle from Gold Coast to Port Douglas in 6 hours. Alternatively, you can do a combination of train, flight, and shuttle; or drive. Plan for a bit warmer temperatures traveling from Gold Coast in April, with highs in Port Douglas at 34°C and lows at 25°C. Finish up your sightseeing early on the 8th (Wed) so you can go by car to Cairns. Kick off your visit on the 9th (Thu): get interesting insight from Tours. Start your trip to Cairns by creating a personalized itinerary on Inspirock. You can drive from Port Douglas to Cairns in 1.5 hours. Alternatively, you can take a bus; or take a shuttle. In April, daytime highs in Cairns are 34°C, while nighttime lows are 26°C. Finish up your sightseeing early on the 9th (Thu) so you can travel back home.